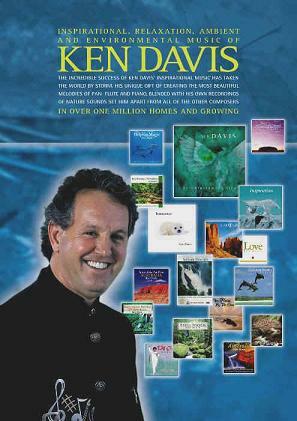 Ken Davis captures the sounds of nature and interplays it with musical melodies and harmonies….awakening, uplifting and revitalising the senses. Ken will feature his passion and love for music throughout the entire evening by performing various styles of music from Ambient, Healing, Tai Chi and Kirtan styles, to smooth jazz. Ken will feature his Vocoder voice synthesiser that he has featured in his music since they were invented in the mid 1970’s, as well as his Crystal Singing Bowls and tetrahedrons. (Take exit 89 from M1 Motorway, turn right at T-intersection traffic lights, hall is 7.2kms on the left) Please click Location to see a map. Please click here or tel: 1300 438 849 to book.